It could not have been a more timely Shalom Sydney Jewish Writers Festival event. 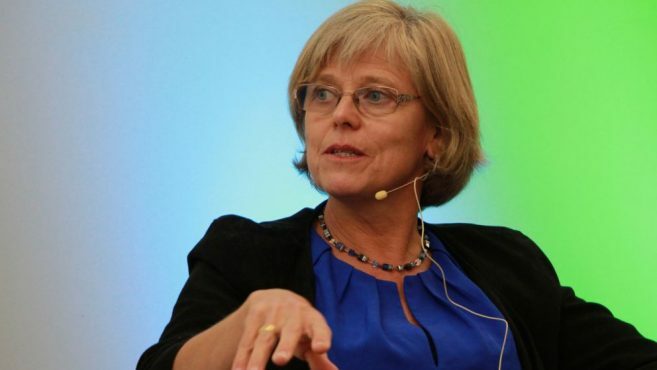 Just weeks after Sweden officially declared Raoul Wallenberg dead, Ingrid Carlberg – the author of a comprehensive biography about the former diplomat who saved tens of thousands of Hungarian Jews in 1944 – shed light on the significance of that milestone at Waverley Library on November 15. “It was a huge step for his family, and it is important to understand that it was initiated by the family itself, who got together and decided to apply for the formal declaration of his death,” Carlberg said. “The process was a bit bizarre in that a very small advertisement by the Swedish Tax Agency was put in all the major Swedish newspapers – a notice for Wallenberg to present himself to their office by October 14, 2016. “When he did not turn up by that date, that’s when his death became official. “It was really a way for the family to put an end to one element of this trauma from going on, but they are never stopping their quest for the truth of what happened to Raoul. Carlberg told The AJN, “What I think is really important is that independent researchers get the opportunity to obtain access to the documents and information they need to go about their work. “That is the big challenge. I remember coming so close at the FSB [Russian Security Service] Archives, when I held Raoul’s prisoner [identity] card that was registered on February 6, 1945 in Lubyanka prison. 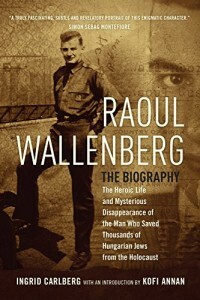 “Raoul Wallenberg: The Biography,” by Ingrid Carlberg. Carlberg’s book is meticulously researched and goes into incredible detail about how events in Wallenberg’s childhood in Sweden and early adult years in America and Haifa shaped him; his courage and ingenuity in creating and issuing thousands of temporary protection visas to save Jews; his work to feed and provide for the most vulnerable survivors; and his tragic, and still unexplained, disappearance following his arrest by the Red Army in 1945. “The reason I wrote Raoul Wallenberg was because of the lack of really serious biographies about him, particularly in Sweden,” Carlberg said. Last week, Raoul Wallenberg won the 2016 Jewish Quarterly-Wingate Literary Prize.